Academic advising at Hunter College is a student-centered teaching and learning process dedicated to student success. 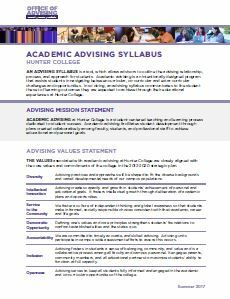 Advisors intentionally design programs throughout the academic year that assist students in navigating between curricular, co-curricular, and extra-curricular challenges and opportunities. 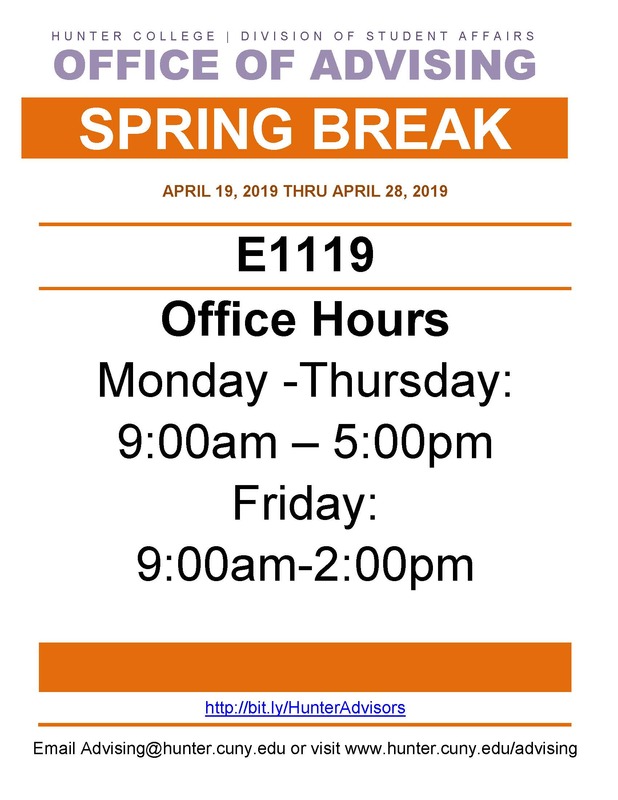 Academic advising facilitates student development through plans created collaboratively among students, professional staff, and faculty to achieve educational and personal goals. Succeeding in college takes time, work and support. Get to know our academic advisors and start leveraging their expertise and know-how to maximize your college experience. Meeting with academic advisors is easy. Use MyHunter Advisor, our online appointment platform, and choose to meet advisors either in-person or remotely, using Skype, anytime throughout the year. Advisors strive to help students get to the graduation finish line. Stay on track and make graduation a reality by meeting regularly with an academic advisor.